Young right midfielder from Milton Keynes who joined the Centre of Excellence at the start of his Under 14 year. Lewis progressed through the youth set up and had a good season as a first year with his best performance scoring four goals in the Midland Youth Cup Quarter Final against Lincoln City. Lewis represented Scotland at Under-16 level and made his first team debut in the September 2008 against Rothwell in the Hillier Senior Cup. Lewis went out on work experience to Raunds Town in September 2009, before seeing action with Leighton Town later in the season, but he was released at the end of his scholarship in May 2010. Lewis joined Southern League Premier side Chesham United on 10 August 2010, but after he moved on to Biggleswade Town after a short period, before joining UCL side Newport Pagnell Town in early-October 2010. 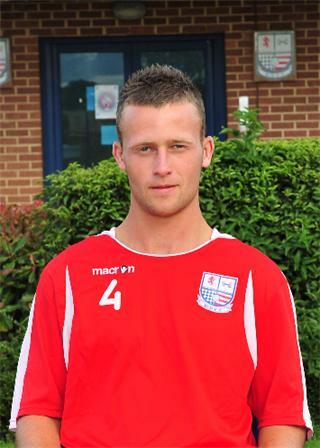 He then moved to fellow UCL side Olney Town in February 2011, before joining Stewarts & Lloyds Corby on 18 August 2011. He remained with the Foundrymen for less than a month however, joining South Midlands Premier side Aylesbury United on 8 September 2011. In March 2012, he linked up with Elgin City of Scottish League Division 3. Despite being on the bench on a number of occasions, he made just three substitute appearances for the club before leaving in September 2012. Lewis returned to England and was hoping to return to UCL action for the 2013/2014 season, playing a couple of friendlies for AFC Rushden & Diamonds, but joined South Midlands Division One side Winslow United in August 2013. At the end of October 2013, Lewis joined UCL Premier side Cogenhoe United, but quickly moved on to join UCL Division One side Buckingham Town on 20 December 2013. At the start of the 2014/15 season, he joined fellow UCL Division One side Raunds Town. He moved on to Buckingham Town in early 2015, but has not been seen with another UCL club since the Robins folded.